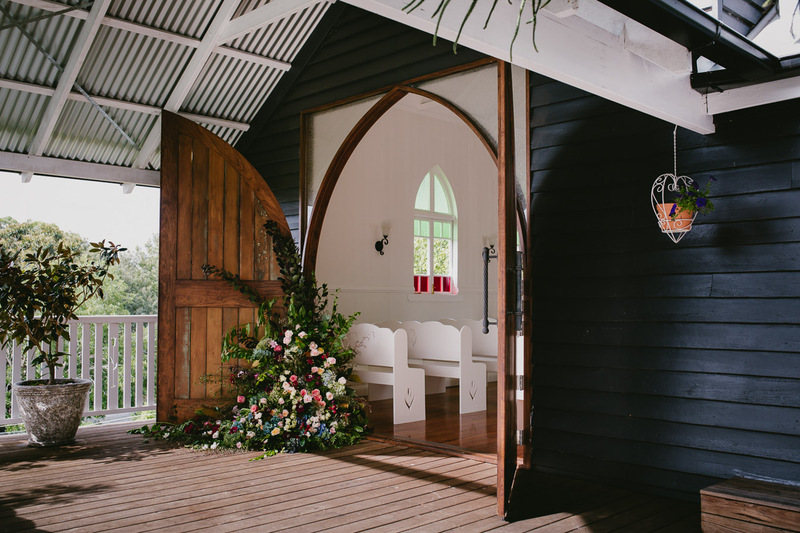 Victoria’s Chapel in Maleny is quickly becoming the firm favourite for couples getting married in the Sunshine Coast Hinterland. 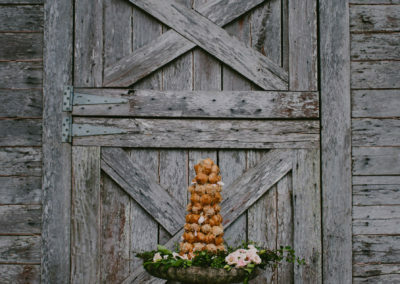 With a restored chapel, rustic stables and pretty scenery on the one site. 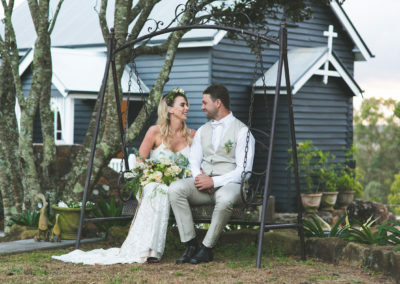 It’s a perfect bespoke venue just moments from Maleny, it’s rare in that it offers accomodation, a wedding venue as well as several reception venue locations. 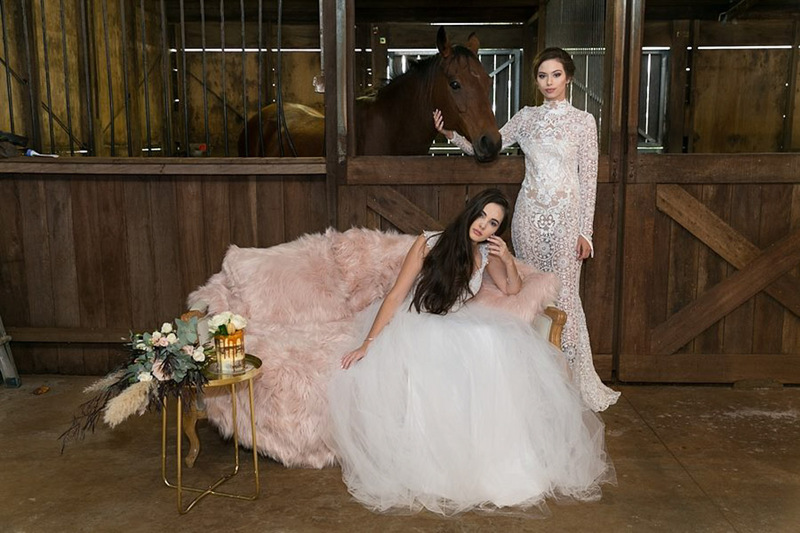 It caters to couples wanting intimate, relaxed weddings. 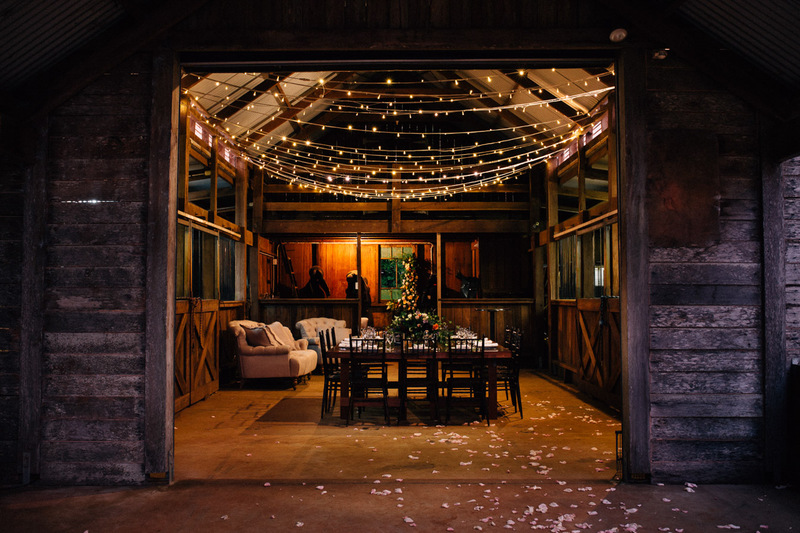 Scroll down for more images of the wedding venue, stable and setting. This 100 year old, deep blue restored chapel is absolutely beautiful, set in rolling hills, pretty gardens just minutes from Maleny. 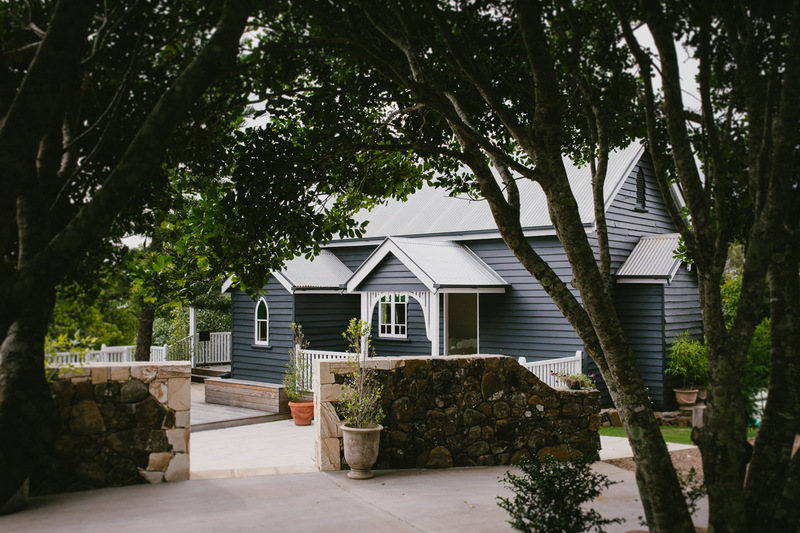 It houses around 65 guests – the perfect all weather spot for couples looking for style, classic charm and convenience. 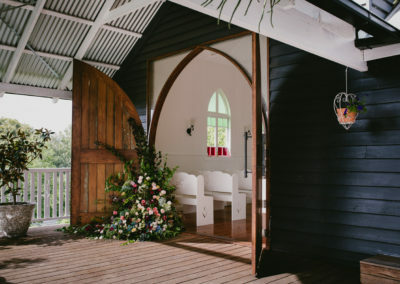 Grand timber doors frame the light filled chapel from the covered deck area – even the brides arrival is spectacular with charming trees, rustic rock walls and a circular gravel drive. 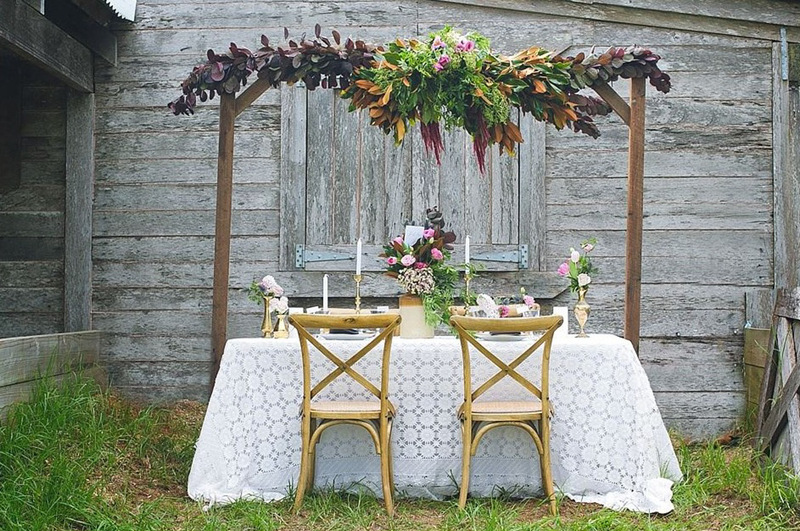 The chapel itself has a raised platform area and quaint painted pews – ideal for a vintage style wedding. 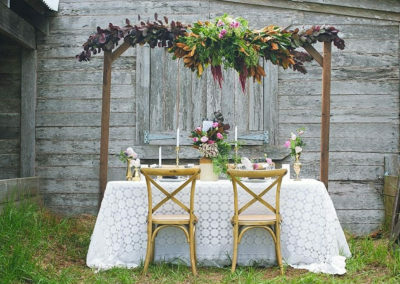 It has also beed decked out as a reception venue. 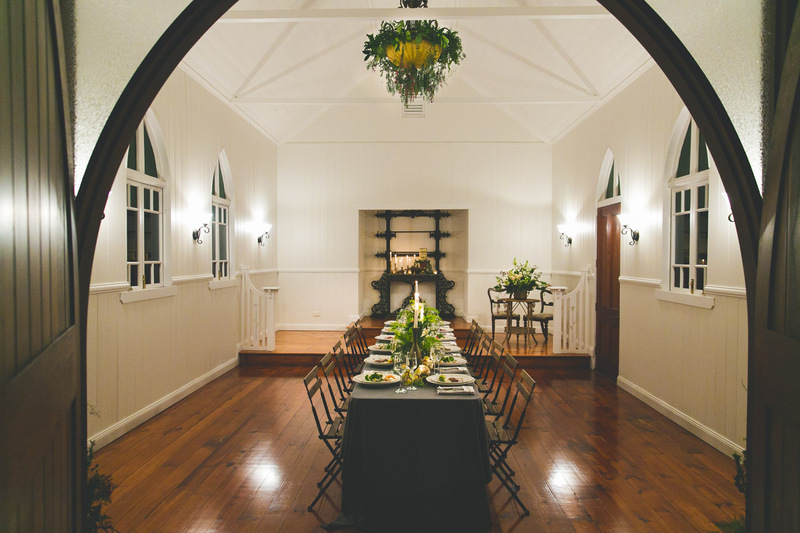 Victoria’s Chapel is a sprawling homestead set on an elevated private wedding property in Maleny. 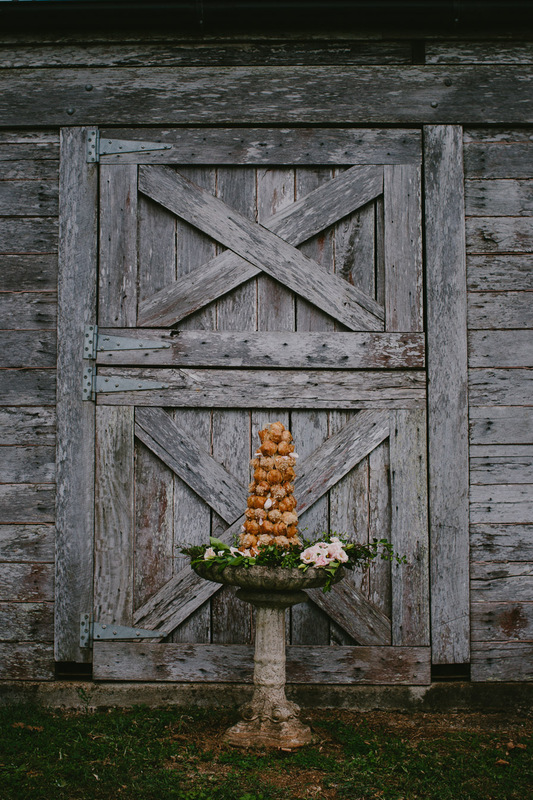 In addition to the vintage wedding chapel itself, the stables are another option for a bespoke country wedding. 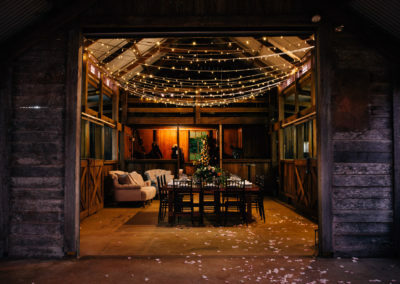 This venue offers affordable packages and is popular with couples wanting an intimate, smaller country wedding. There are so many beautiful places for photographs, all moments from each other from the stables to rolling green hills. Watson House is a great option as a getting location and or wedding accomodation in Maleny. If you are after affordable Maleny wedding packages from accomodation to venues, give Victoria’s Chapel a call. 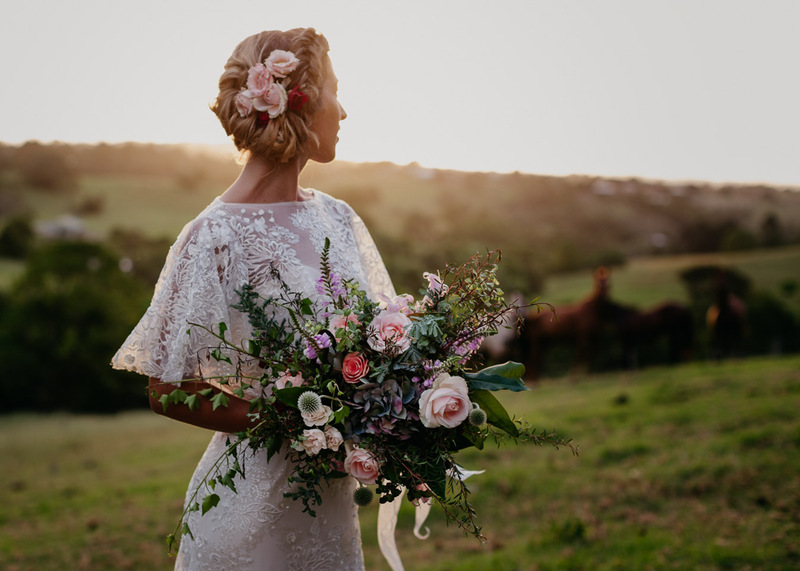 This gorgeous location is not widely known about, but offers amazing rates and more importantly, an amazing bespoke wedding experience.